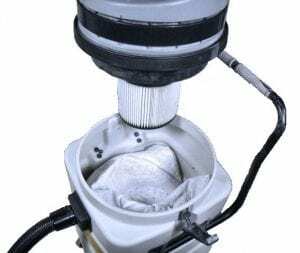 w/ AIRFlow HEPA Filtration – Dry Powder Extraction. 2000 Watts, 120 Volt, 260 Net CFM, 97″ H20, 24 Gallon HD Poly Tank. 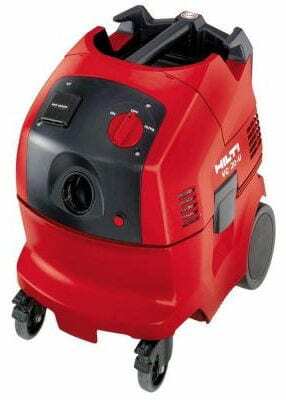 The absolute best Dust Extractor / General Purpose Wet/Dry Vacuum on the Market — “Handles All of the Applications” ~ 120 Volt 2-Motor 17.0 Amp. 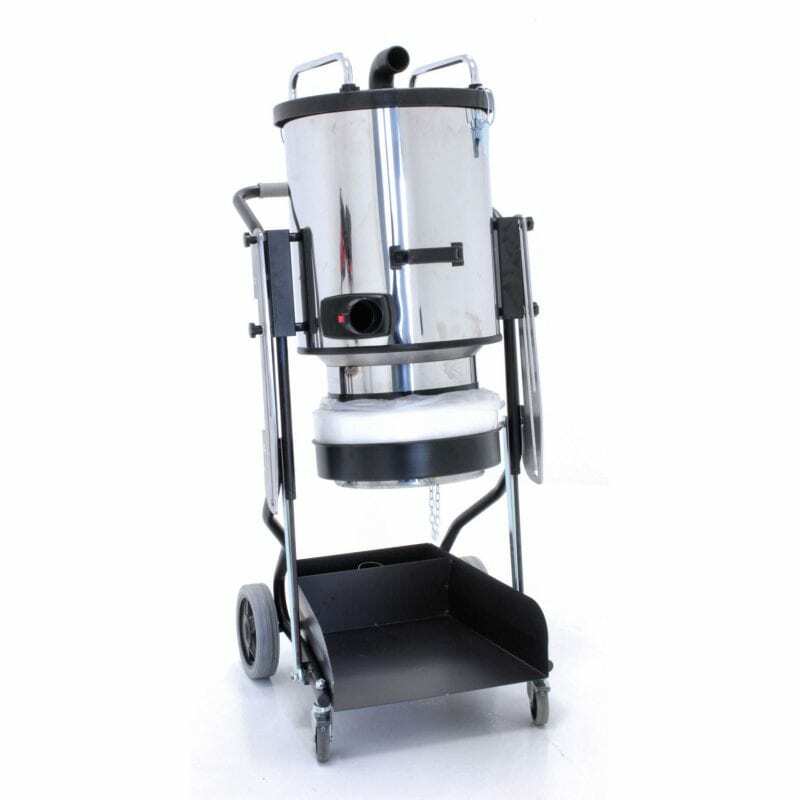 Lightweight, Durable, Compact, Portable – Complete with AIRFlow HEPA Filtration for Maintained Suction Performance: Expect to vacuum any type of powder debris without suction drop ~ powders will continue to accumulate in the tank (to it’s inlet port) without incurring suction drop. Shown below with optional 30″ Floor Sweep attached. 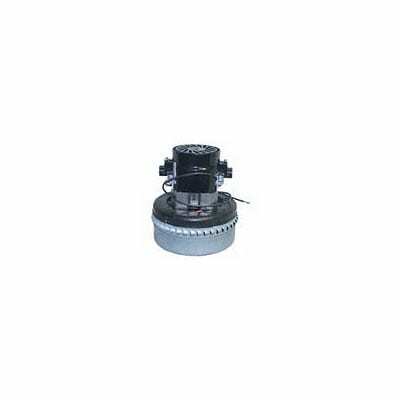 General Purpose: Besides begin a powerful dry powder dust extractor, you can expect to vacuum water from 10″ diameter pipes 60′ below the surface! 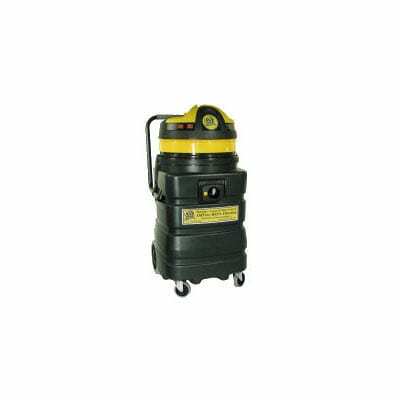 Powerful CFM Suction + Waterlift for vacuuming general debris, dry powders, moist debris, 100% liquids. Each motor has its own on/off switch. 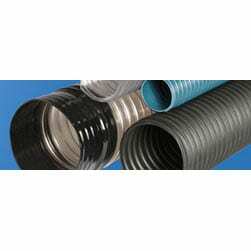 Equipped with 1-1/2″ x 12′ HD Crushproof Hose. 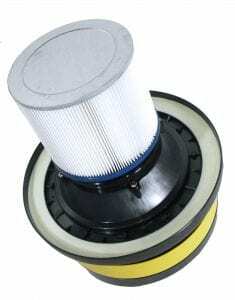 Filter System – AIRFlow HEPA Filtration ~ Expect to collect over 110 lbs. 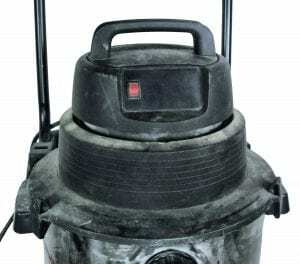 of concrete dust and notice a “maximum” drop in suction of 15% WITHOUT turning off the vacuum. 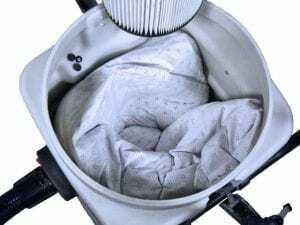 Turn off the vacuum and the filter bag releases any caking by deflating itself. 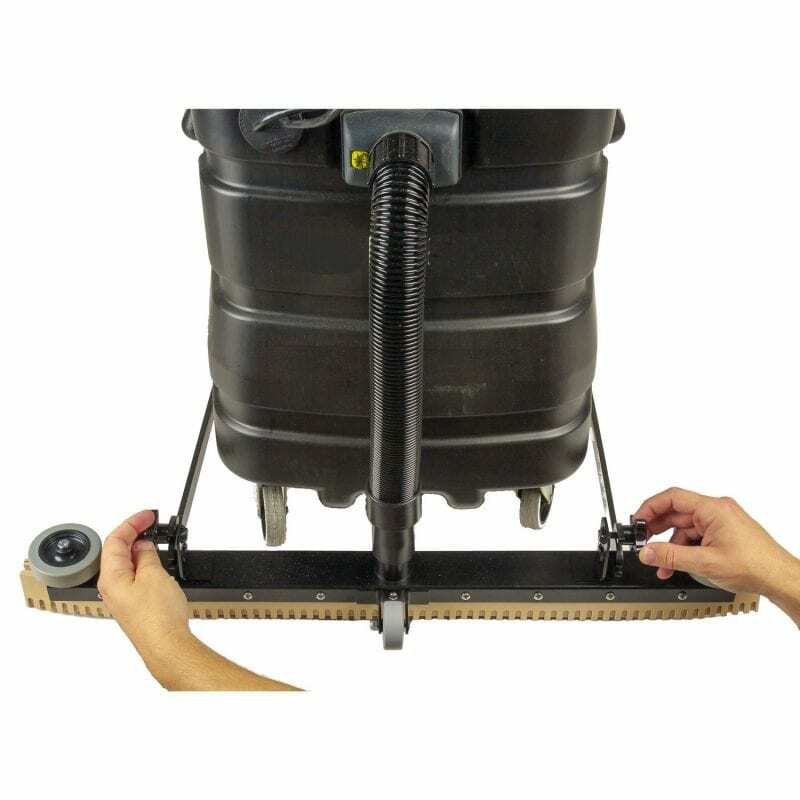 Turn on the vacuum and the filter bag inflates to return 100% suction power as you collect an additional 40+ lbs. of dry powder. The 24 gallon collection tank will fill completely, to its inlet port, with maybe a minimal drop in suction power. 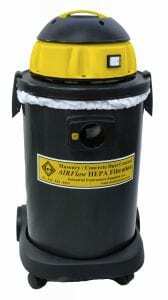 Filter System includes: HEPA Cartridge Filter, Clean Extreme Filter Collection Bags (3). 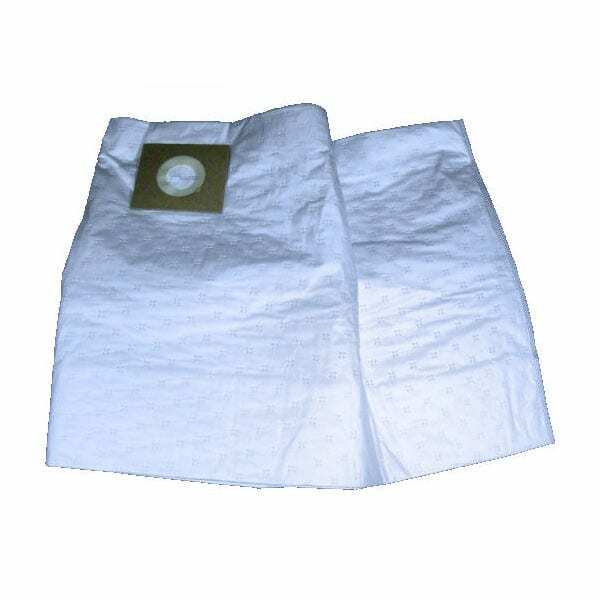 Any type of debris, from dry concrete powder to moist or oily debris to hot mastics — everything is collected and contained within the Clean Extreme Filter Bag WITH minimal suction loss AND with everything completely contained within the Clean Extreme Filter Bag. Removal, handling & disposal of the completely contained debris is clean, easy and without a mess. Extreme & Diverse Applications. The expanded PTFE membrane can withstand the most abusive of applications, dry or wet, and temperatures up to 600°F — highly suitable for high-temperature applications such as when removing hot mastics. 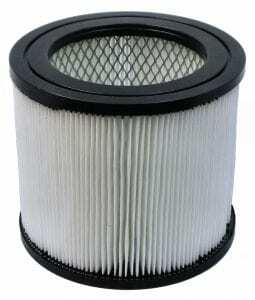 Additionally, as stated, the filter is complete washable. 6) While the PTFE membrane increases the filter’s and vacuum’s cost, the initial cost is offset by improved filtration efficiency, vacuum performance and longer filter life. With a Clean Extreme Filter Bag installed you can expect to collect large volumes of silica dust – to the tank’s inlet port – without incurring suction drop or without the filter bag tearing or accidentally bursting inside the tank. When vacuuming any type of power, for hours at a time and you happen to notice suction drop . . . With a Dust Director Vacuum you simply turn off the vacuum, doing so will cause the Clean Extreme Filter Bag to deflate; when you turn the vacuum on the bag inflates and suction resumes 100% ~ Guaranteed. 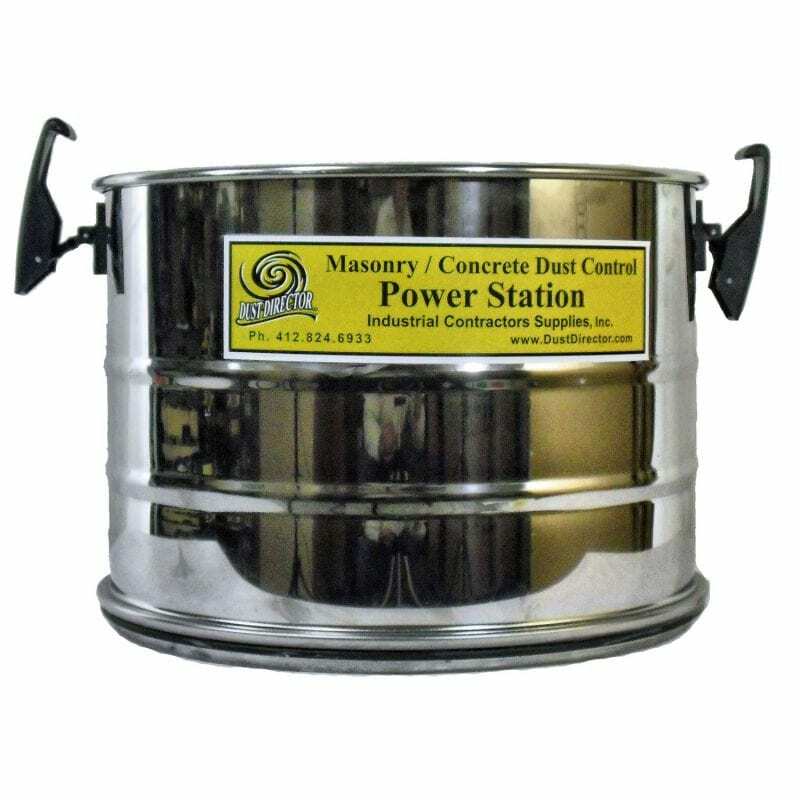 Are you grinding dry and you come across wet concrete, stone or mortar? No problem – Clean Extreme Filter Bags work even better when the surface is damp! 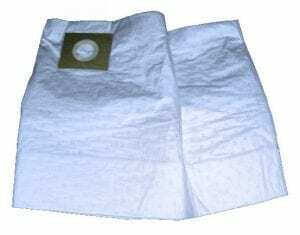 Clean Extreme Filter Bags: Collects anything – powders to sludge – they fill to capacity, powders do not blind suction, no accidental bursting or tearing inside the tank or while being handled during disposal, and everything stays clean ~ Guaranteed. Inside of the tank is kept clean. FLUTTER FILTER – Optional Filter. 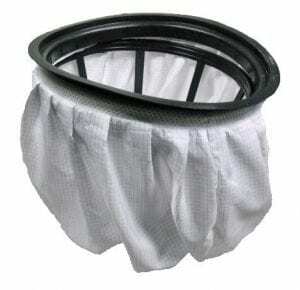 The Flutter Filter is a self-cleaning drop-in filter that may be used instead of the Clean Extreme Filter Collection Bag. As soon as the vacuum is turned on the tightly weaved “but loose fitting” Flutter Filter beings to flutter and shake, using the air speed and turbulence inside the collection tank to create its motion. Constantly and naturally in motion, dry debris and roughly 50% of the powders are kept from blinding the surface of the Flutter Filter and causing suction drop. Additionally, to help prevent blinding while the vacuum is on, a floating filter cage inside the Flutter Filter swings freely and loosely as it shakes and knocks itself about using the air speed and turbulence inside the collection tank. When you’re on a job site it’s nice to have options . . . with a Dust Director® Industrial Vacuum Cleaner you’re able to use either the Clean Extreme Filter Bags or the Flutter Filter. 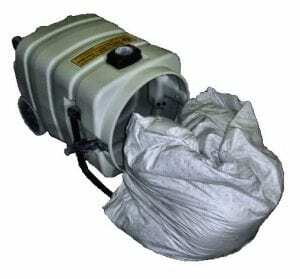 The Clean Extreme Filter Bags are the absolute best filter system on the market for collecting “large volumes” of silica dust while maintaining maximum suction performance and for keeping everything clean inside the tank and even during removing and handling ~ everything is kept clean and there isn’t a mess. 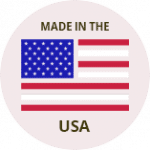 But the Flutter Filter works impressively as well, reduces or eliminates the cost of replacement filter bags, uses no electronics to shake or pulse itself clean and it is completely re-useable and washable. Versatile – Collects dry or wet debris without compromising its effectiveness. 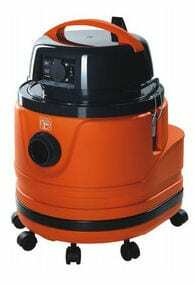 Still Using a Standard Wet / Dry Vacuum as a Dust Extractor? 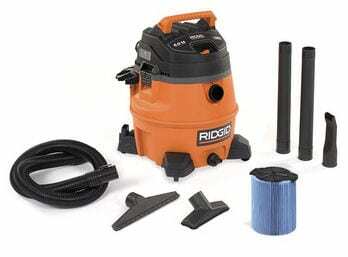 …Shop Vac and Rigid Vacuums have their place. We all have one. With OSHA’s Final Rule: You Will Get Fined Using a Non-Compliance Dust Extractor. Rule requires engineering controls (tools and equipment) to keep workers from breathing silica dust. What is Respirable Silica Dust? These tiny particles (known as “respirable” particles) can penetrate deep into workers’ lungs and cause silicosis, an incurable and sometimes fatal lung disease. Crystalline silica exposure puts workers at risk for developing lung cancer and other possible debilitating respiratory diseases such as chronic obstructive pulmonary and kidney disease. How Much Respirable Silica Dust is Safe to Breath? 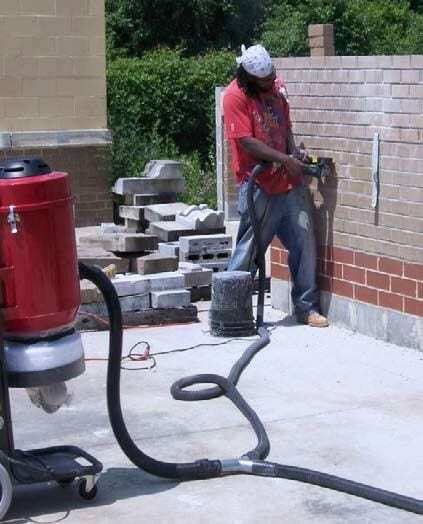 OSHA has issued their Final Rule to curb these respirable and kidney diseases in America’s work force by limiting a worker’s exposure to respirable crystalline silica to 50 micrograms per cubic over an 8-hour shift. What Does 50 Micrograms of Respirable Silica Dust Look Like? A good example may be one of those small paper packets of sugar or artificial sweeteners found in restaurants. When used to demonstrate the dust concentration inside a building, the size of a football field (100 yards x 53 yards x 14′ high). The weight of one of those little packets is 53 micrograms, which is slightly over the PEL (permissible exposure limit) for Silica Dust of 50 micrograms. Such a fine dispersing of dust at this concentration would essentially be invisibility. It is also enough to put the workers at risk by contaminating the work area — the size of a football field x 14′ high. Jerry Scarano, Vice President of the International Union of Bricklayers and Allied Craft Workers (BAC). Currently, to simplify the understanding and importance of containing silica dust exposure, OSHA and all parties involved, have adopted the buzz phase of “visible dust,” as their measurement of whether silica exposure is being sufficiently contained for both the workers and public. Employee “B”, working downstream from employee “A”, was receiving a concentrated dose of dust as his air quality measured 135 times over the PEL! While this case study shows how “visible dust” may be seen, more importantly was the moral obligation we need to take for our construction workers, the public, and the environment. 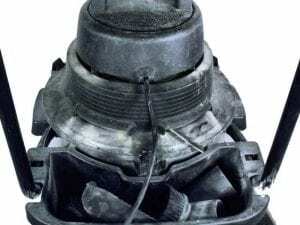 Dust Emissions — Does Your Vacuum Leak Dust? Check your vacuum! 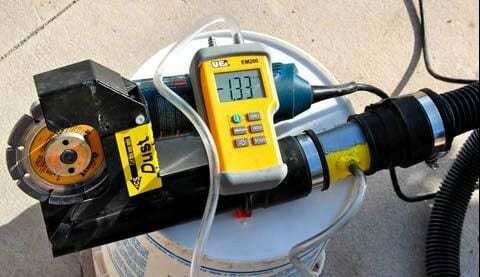 With OSHA’S “No Visible Dust Law”, is there a gasket beneath the motor head to seal the tank? With the OSHA ruling You will get fined using a vacuum that leaks. 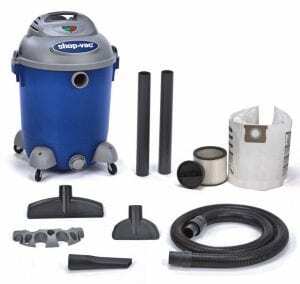 Unlike other vacuum cleaners where the same cartridge filter is used again and again and again . . .
With a Dust Directo® Vacuum, the HEPA cartridge filter stays clean. While it may get dusted, it will never become caked ~ Guaranteed. Urethane Motor Head Gasket. 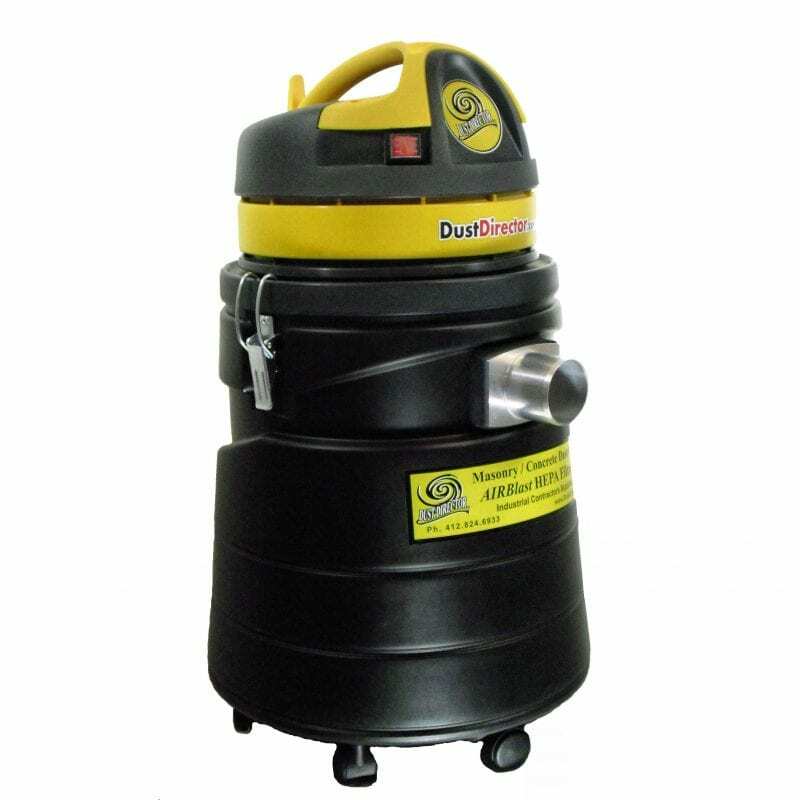 Beneath the motor head of every Dust Director® Vacuum & Cyclone is a poured-in-place urethane gasket that is used to ensure a positive airtight seal between the motor head and its tank. 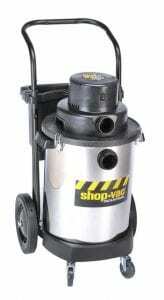 Commonly used shop vacuums and even higher priced vacuums will use foam or nothing at all. The urethane gasket ensures against dust leakage into your work area and prevents even the slightest loss of vacuum which would naturally reduce suction power. Many wonder how the suction of a Dust Director® Vacuum and Cyclone seems so much more powerful than other brands, one of the reasons is the urethane gasket. Dust Director’s Increase in Suction Power? 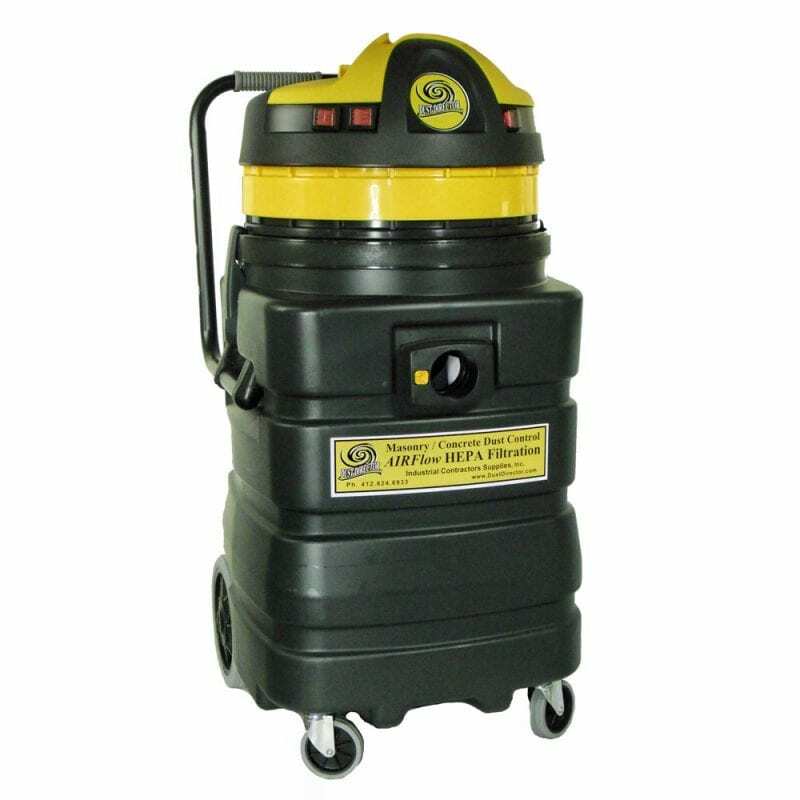 While a complete Dust Director System (vacuum and dust guard) have been successfully monitored by NIOSH to operate within the guidelines of their established PEL, a very important feature in all of the Dust Director® Vacuums and Cyclones is the poured-in place urethane gasket. While some vacuums use foam as a gasket, 90% of all vacuums use nothing! This startling statistic includes vacuum’s that cost well over $2000 dollars. 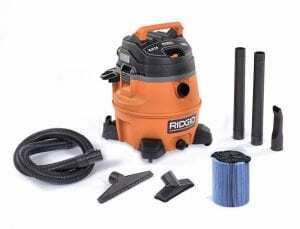 While the Rigid vacuum, for example, does not use any type of gasket (while leaking profusely), the consensus among morally conscience contractors is a Rigid vacuum is simply not designed to be used for silica dust containment. 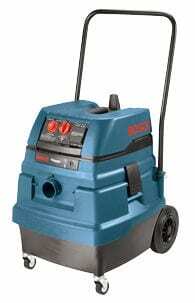 Both Dust Director® models where considerably lighter than Bosch, Fein and the Hilti vacuums. The vacuums hold so much dust. And there isn’t any filter maintenance. The filters simply don’t clog, they just keep sucking dust. We have a few of those real expensive pulse vacuums and the dust lays in the hose. We’re always having to lift and shake the hoses to get the dust out of them.